Iceland is probably not the first place you would think of for tourism. However, it is experiencing an unprecedented amount of tourism. Since most people think of Iceland as a frozen wasteland, you would not expect there to be much tourism, but, surprisingly, there is. There are many interesting things to see in Iceland, including the glaciers you would expect. Not only does Iceland have tourist attractions, it’s also quite easy to rent a car from Lotus Car Rental in Iceland to get to them all. Here are some of the tourist attractions you can find in Iceland. Whale Watching at Reykjavik is a common tourist spot. It is a place where you can watch whales surface to breathe and dive back under again. This is a truly amazing sight to behold to see these big animals up close and personal. While they do not always show up, there is more than 80% chance the whales will be there allowing you to watch them. 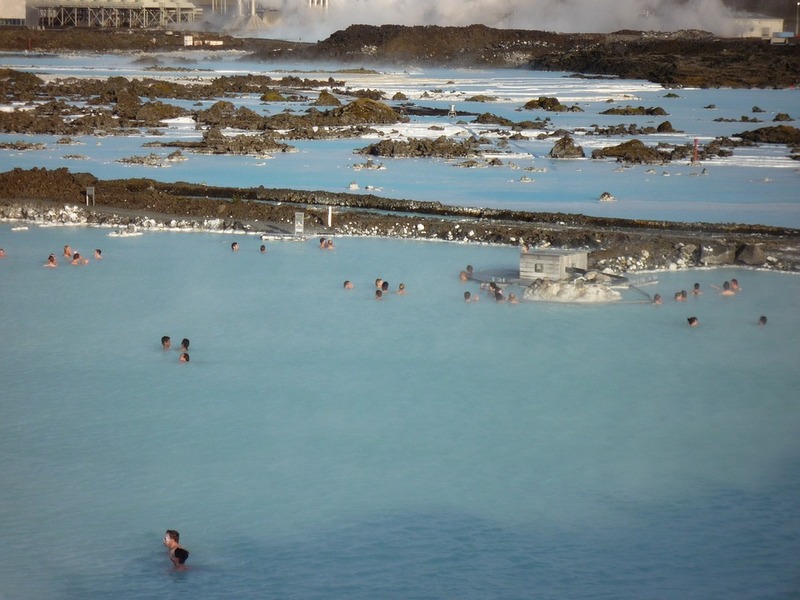 The Blue Lagoon at Grindavík is a place that, despite Iceland’s frigid climate, you can wade in warm water. In fact, pictures of this lagoon show it actually steaming. The reason the water is so warm is that the lagoon is fed by underground hot springs allowing the water to reach 100 to 102 degrees Fahrenheit. While Iceland is probably not your first choice for studying abroad, as a student it is still an adventurous option. Given the things you can see and do in Iceland that you can’t see many other places, it would make an amazing place to live and study. Being able to see the Aurora Borealis ss yet another reason to visit Iceland. This is something you cannot see from lower latitudes and something that should not be missed. It is a show that only occurs when the atmosphere is excited by solar activity, but it is still an amazing sight. Strokkur is a spectacular geyser and the most famous geyser in Iceland. This is the geyser where the word geyser itself was derived. Like all geysers, it is a spectacular sight when it erupts. Every few minutes it erupts shooting water almost 100 feet in the air. People have even been known to boil eggs in its water. Located in Vatnajökull National Park, Skaftafell Ice Cave is a cave of melted ice within one of the park’s many glaciers. Because of the magnificence of this ice cave, it attracts adventurers from all over the world. It is a major tourist attraction in Iceland. Dettifoss Waterfall is yet another major Iceland tourist attraction. It is 328 feet wide and 147 feet high creating a magnificent sight. It is a particularly beautiful sight when the sun is low in the sky allowing its light to be reflected off the water in a spectacular way. Gullfoss Waterfall is actually two waterfalls in one. The upper one falls 36 feet while the lower one falls 69 feet. At the right time of day, the sun can hit the spray from this waterfall to produce a rainbow. This is a beautiful waterfall. Askja Caldera is the crater of an active volcano, filled with geothermally heated water forming a pool. This is a pool you can actually swim in, with a water temperature of about 86 degrees Fahrenheit. The volcano itself has not erupted in so long that the only warning is one that the banks are “Slippery When Wet” in rainy weather. Increased tourism has done wonders for Iceland’s economy. It was once an economy on the brink of collapse that has been brought back partly due to tourism. Without it, who knows where Iceland’s economy would be today. The tourism continues to be amazing in spite of Iceland’s harsh climate. The presence of so many things for tourists to see is what drives all this tourism. It shows that tourists are interested in more than sunny beaches.